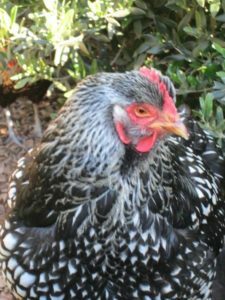 Sacramento Home & Garden Show | Let’s Talk Chickens! 08 Aug Let’s Talk Chickens! We are excited to announce that Greg Howes and Brian Fikes and one of their favorite chickens from “Two Flew The Coop” will be presenting ” Let’s Talk Chickens” at Noon on Sunday, October 14 in the “Event Center” in the Pavilion building at the upcoming Sacramento Home and Garden Show. Greg and Brian established Two Flew The Coop in 2011 in response to the City of Sacramento legalizing backyard chickens. They offer everything from special feed to one of a kind artisan themed chicken coops. They frequently have sold out classes at Soil Born Farms and Sacramento Natural Foods so don’t miss out on this opportunity to learn more! Greg and Brian will also have one of their fabulous custom chicken coops on display. 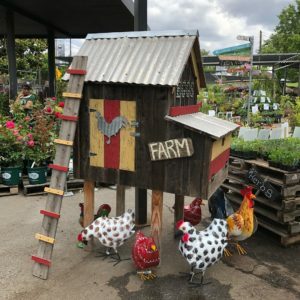 Their unique chicken coops are also sold through Talini Nursery and The Plant Foundry Nursery.